Miami is a particularly colourful swirl in the great American melting pot; few cities are more diverse and cosmopolitan, and even fewer can boast white-sand beaches and endless days of perfect sunshine, too. Miami is not just sunshine, beaches and of course amazing fusion food but also fabulous architecture from the Art Deco period through to modern day with some amazing buildings, so take time to wander round and head off away from the beach to seek out MiMo architecture. 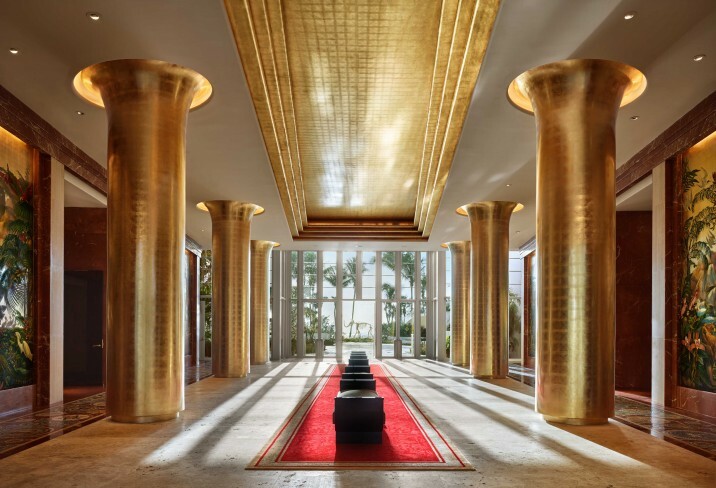 Luxury hotel Faena Miami Beach is a dazzling return to the maximalist glamour of the 1950s, delivering a lavish experience fitting of Hollywood’s East Coast hangout. With decor that’s bold, indulgent and borderline theatrical, you feel as if you’ve strayed onto the set of a silver-screen classic – which makes a lot of sense considering the interiors were overseen by director Baz Luhrmann and his wife Catherine Martin, the lead costume designer on his biggest films. In the rooms, the whirl of lipstick-red leather, gold leaf and leopard print could have been lifted straight from his kaleidoscopic adaptation of Romeo and Juliet. There are three restaurants (two by famous chefs), several bars, a theatre, an expansive spa and almost 10,000sq m of private beach. It’s excessive; it’s indulgent; it’s Miami at its gilded best. When your hotel has its own stretch of private beach, it can be tempting to stay put for your entire stay, but it’s worth taking a stroll along the Miami Beach Boardwalk. It runs along the oceanfront for 40 blocks, flanked by tropical greenery and art deco buildings on one side and the Atlantic on the other. If you’re the sporty type, join the locals who use it for their morning run; the stretch below 21st Street is bike friendly too. The Architectural District on Ocean Drive is where you’ll find most of the city’s famous art deco hotels. You can still see the façade of the Sunray apartments, where Tony Montana had his brush with chainsaw-wielding gangsters in Scarface. Equally famous is Gianni Versace’s former home, Casa Casuarina, which has since turned into a boutique hotel. For retail therapy, head to the city’s most famous department store, The Webster, a three-floor luxury fashion emporium housed in an art deco building. Within the Faena District itself you’ve got the Faena Forum, a performance and arts space designed by Pritzker Prize-winning architect Rem Koolhaas. The line-up changes constantly, ranging from art exhibitions to one-off dance performances. With a fresh colonial feel to its communal areas and a look that’s more South Carolina than South Beach this deco dame emerged in 2009 from a fabulous freshen-up and face lift. 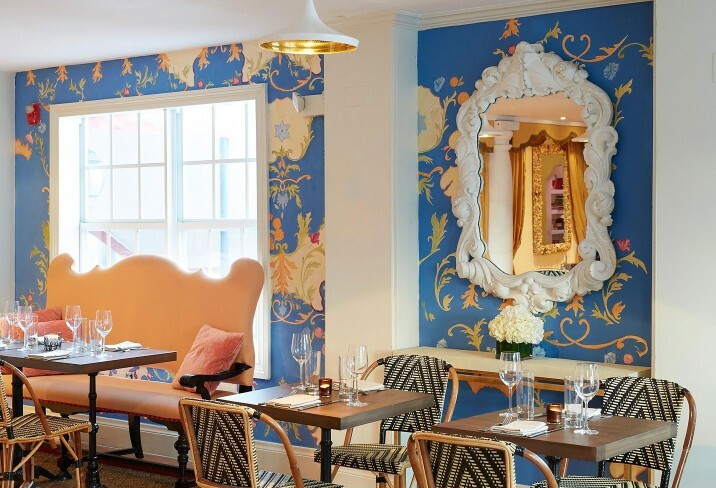 Contemporary art, a modern attitude, and a charitable spirit ensure The Betsy South Beach hotel, an independently owned hip hostelry, shines on by the sand. 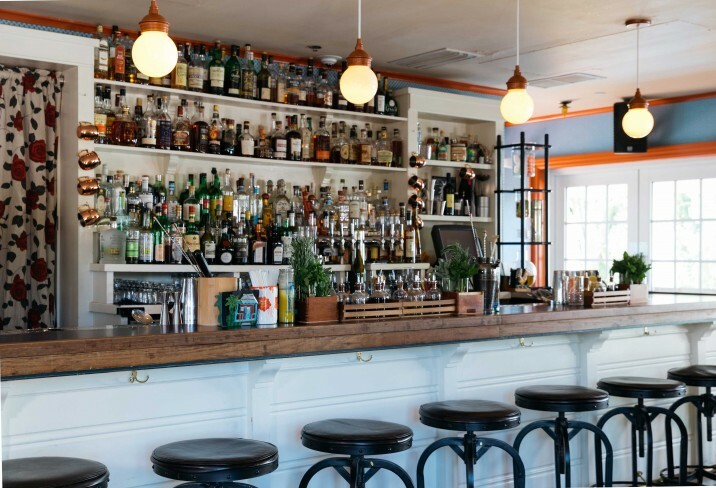 Apart from the outdoor exploits, night owls should also leave a Design District-shaped window in their diaries for an evening of eating at the hottest new eateries and perusing the edgiest galleries (www.miamidesigndistrict.net). For boutiques and eateries head to Lincoln Road, an outdoor shopping hotspot (lincolnroadmall.com). 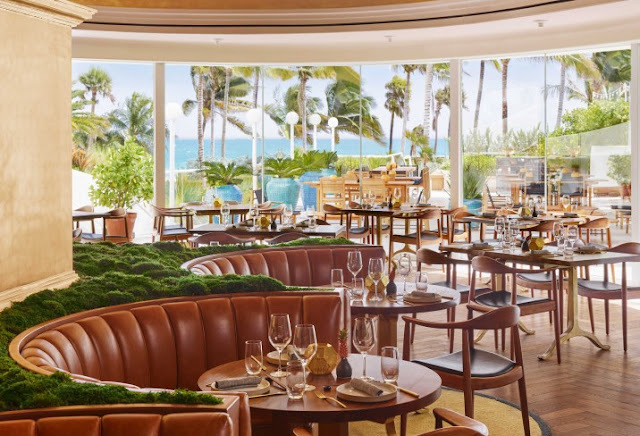 In Miami – a city that moves to the fast pulse of Latin America yet still has that laid-back mañana attitude – an ultra-cool boutique hotel is the perfect bolt-hole. Invigorating and relaxing, but without the brash bling of SoBe, The Standard Spa, Miami Beach is anything but. This star spa destination is a hip urban oasis in the art deco style – as beautiful as the beautiful people who come here, but with none of the attitude. The Boucher Brothers can supply just about anything you could conceivably need for the beach, including windsurfers, kayaks, sailing boats and rollerblades; they also organise parasailing. You can find their offices at 420 Lincoln Road, and at the Fontainebleau Hilton on Collins Avenue. The Bass Museum of Art on Park Avenue is the centre of the emerging Miami Design District and well worth a visit. 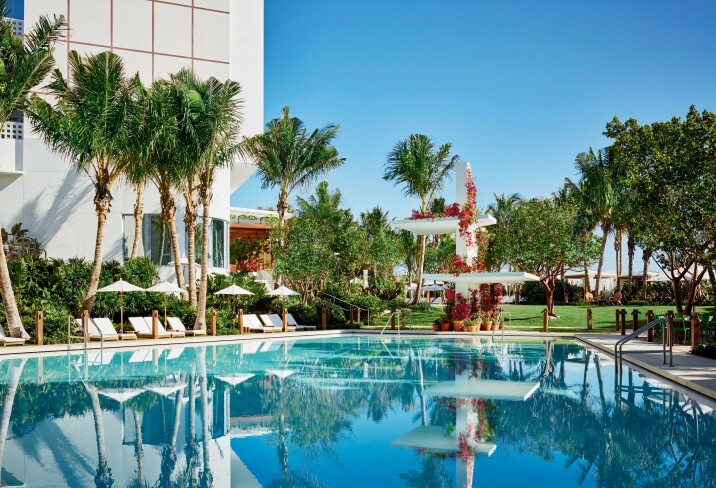 Amid Miami's honed-and-toned, bikini-clad good looks, it can be hard to stand out. But with its come-hither, red-and-white façade, Casa Faena isn't short of attention. Assured of her attributes, she stands on the shores of Mid-Beach, fanned by swaying palms. The man on her arm is Argentinian hotelier and developer Alan Faena, who first transformed the tired docklands of his hometown Buenos Aires, with a hotel, arts centre, bars and restaurants, and has since been doing the same to Miami's eponymous Faena District. Casa Faena is an integral part of the whole concept, with a Latin-influenced restaurant, wrap-around veranda and blushingly beautiful pink-and-white rooms, proving there's substance behind this casa's striking Spanish exterior. When she passes by, you can't help but look. Sharing is caring at Freehand Miami. After a day of craft cocktails at one of Miami’s best bars, Broken Shaker, and pool parties into the early hours of the morning, settle down for the night on a grown-up bunk bed in your private suite; or, if you’re feeling friendly, in one of the shared rooms. Rise and shine for morning yoga on the beach and brunch at 27 Restaurant, then spend the rest of your day swimming with (inflatable) dolphins in the palm tree-lined pool. This free-spirited social stay has a real community feel that we’re happy to be a part of – and think you will be too. The hotel is just two short blocks away from the golden sands of South Beach. In the summer, the beach is lined with beautifully tanned bodies soaking up the sun; if you’re more of a water baby, there are lots of watersport rental shops nearby. Stop by Boucher Brothers at the Fontainebleau hotel on Collins Avenue to hire jet skis, kayaks and paddleboards (they also offer parasailing and kitesurfing). If you don’t take like a duck to water, book a surf or a paddleboard lesson with SoBe Surf – they’ll have you hanging 10 in no time. Miami has a thriving arts scene: watch live music concerts at New World Symphony on Lincoln Road, pirouette your way down Liberty Avenue to watch prima ballerinas at Miami City Ballet and be utterly confused by the conceptual artworks at Bass Museum of Art, Pérez Art Museum Miami and Art Basel, held in December. A marvel of mid-century style, The Miami Beach Edition blends vintage tropical glamour with impeccable modern accents. Set on one of the city’s largest stretches of private beach, the Ian Schrager-designed hotel is perfectly situated for beach-goers, with shaded beach chairs, a shady, hammock-strung beach lounge and a lobby lined with potted palm trees and gold flourishes. There are two pools, including an original Havana-inspired setting with a vintage diving board. 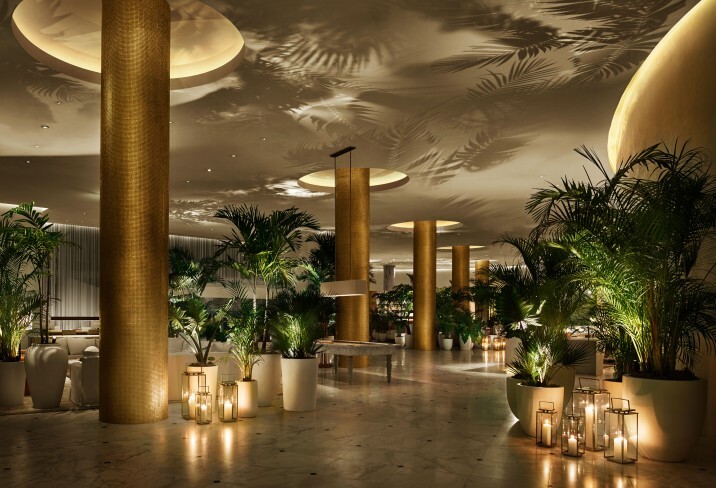 The hotel’s bar and restaurant program brings together the best of modern Miami, with globally inspired Matador Room from chef Jean-Georges Vongerichten, the hip Basement lounge, which has a bowling alley and skating rink. 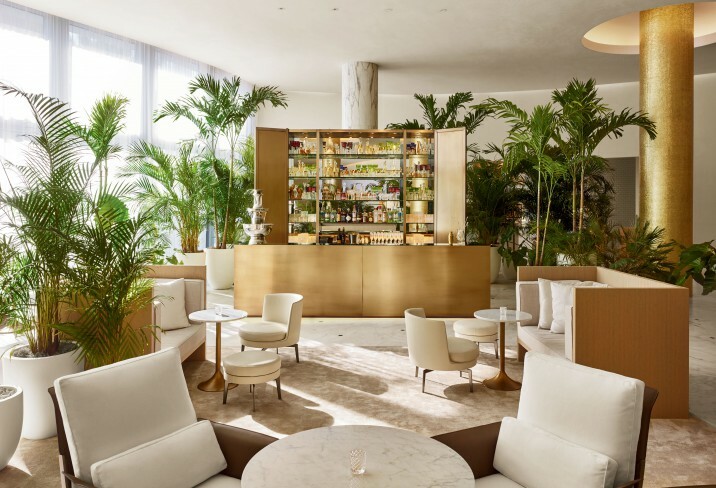 Tucked just above the busiest stretch of Miami in hip Mid-Beach, the Miami Beach Edition has plenty to lure guests outside. Exclusive to members and guests, Beach Club offers 6500 square meters of private beach space, including chaise loungers, umbrellas and towel service. Grab lunch by the pool or go bowling indoors. In the evenings, the tropics-inspired boho Sandbox is a sandy spot between the pool and beach for lounging on hammocks and sunbeds, sipping tropical cocktails over a game of Ping-Pong. A short walk down Collins Avenue, South Beach offers excellent shopping and people-watching. Stroll the pedestrian-only blocks of Lincoln Road or take in the art deco glamour of Ocean Drive and its Art Deco Museum (+1 305 673 3330). Miami’s excellent art scene includes the ArtCenter South Florida(+1 305 674 8278), the outdoor murals and street art of Wynwood Walls and the modern and contemporary collection of the Pérez Art Museum Miami (+1 305 375 3000) in a unique canopy-topped building designed by Pritzker Prize-winning architects Herzog & de Meuron.